Your mother knows. If for some reason you can’t talk to her, talk to her relatives, peers or a spiritual mother. What does mother know? She knows why you feel the way you feel now. 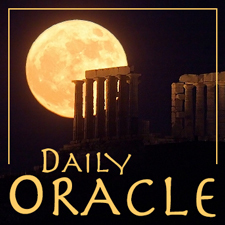 Today’s Oracle takes us to the Capricorn weekly for October 4, 2001. Your mother knows. If for some reason you can’t talk to her, talk to her relatives, peers or a spiritual mother. What does mother know? She knows why you feel the way you feel now. She knows why you seem to be desperate or holding grief when the world is offering you so much. She knows why you might be reluctant to engage with a person who seems totally safe and caring — because she knows what happened to you as a child. In particular, she knows about one betrayal that now needs your loving attention and forgiveness.